This is going to be a bit brief as you can see more on the video, but I just want to highlight how cool this guy is! 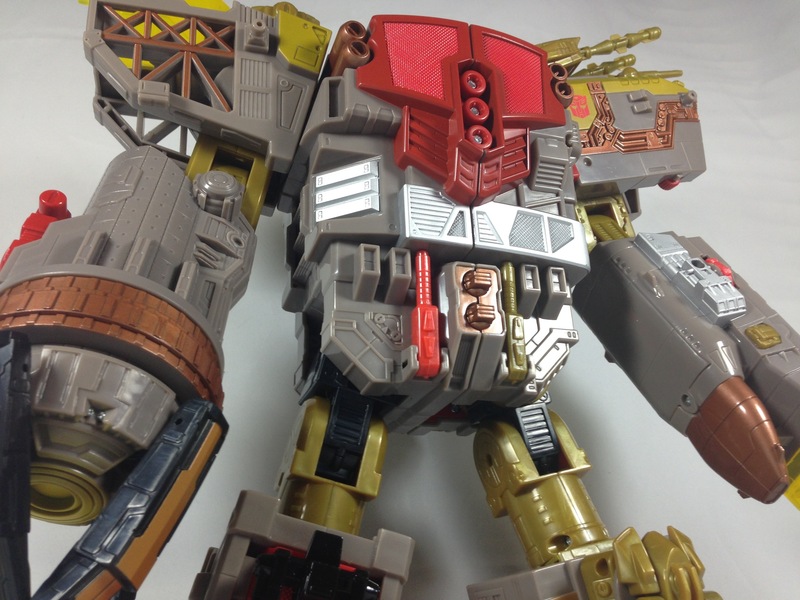 For one thing, he matches perfectly with TFC Hercules. 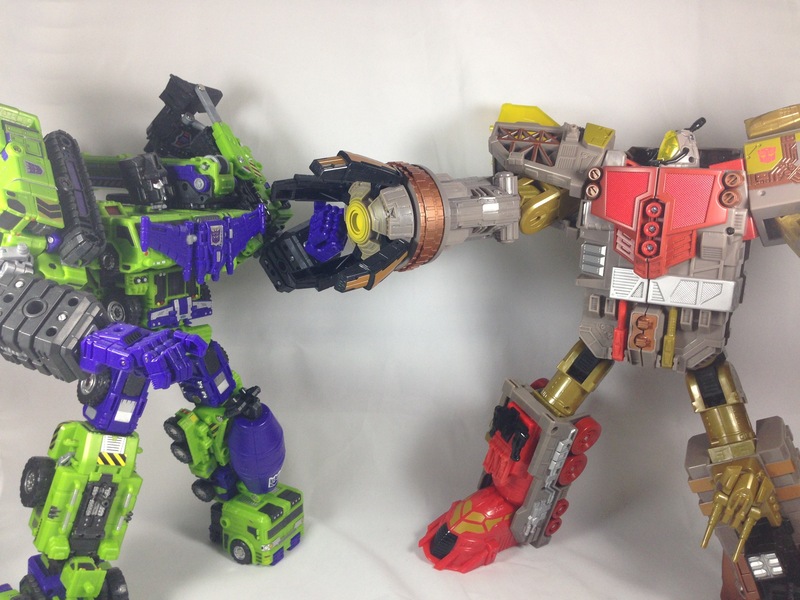 Devastator and Omega Supreme have always been matched against one another so Im very happy to have them trading punches on my shelf! The coloring on Omega is superb. 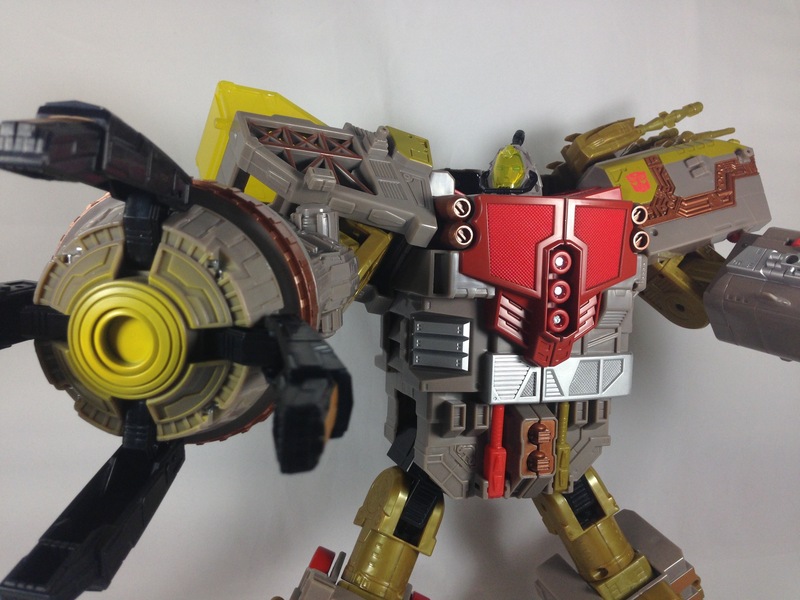 I’m still convinced he is intended to be a War For Cybertron version of the character and you can see by his claw cannon, he shares a striking resemblence to his expensive 3rd party comparison. 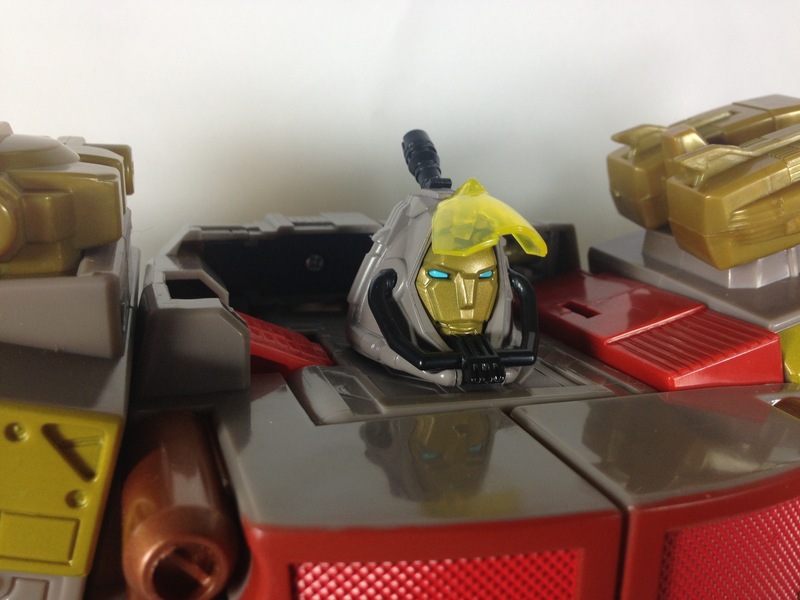 And if course his flip up face plate and flip out antenna in back. The rest of his detailing is just outstanding from the grating on his chest to the various metallics used, I can’t honestly recommend Omega enough. Now that’s not to say he couldn’t use a few finer touches. As awesome as his claw cannon is, it seems a shame he doesn’t have some kind of clear plastic or light piping. He could also use a better Autobot symbol. Reprolables would have a field day with this guy. So all in all, he’s Aces. Especially for the price. 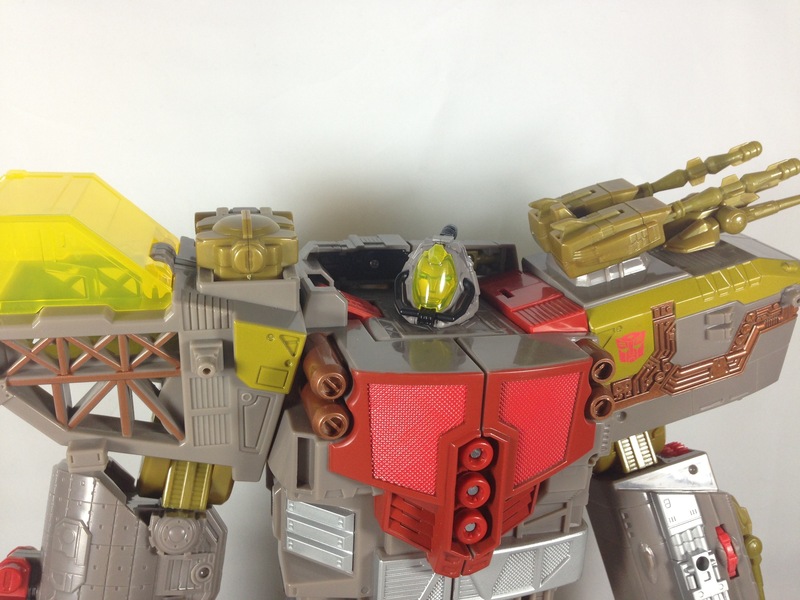 If you’re looking for a really big Omega Supreme, and you have a tighter budget, you can’t go wrong with this version at all! I watched the video last night and you’re right, he does look really nice. I have a few complaints though, minor at best. 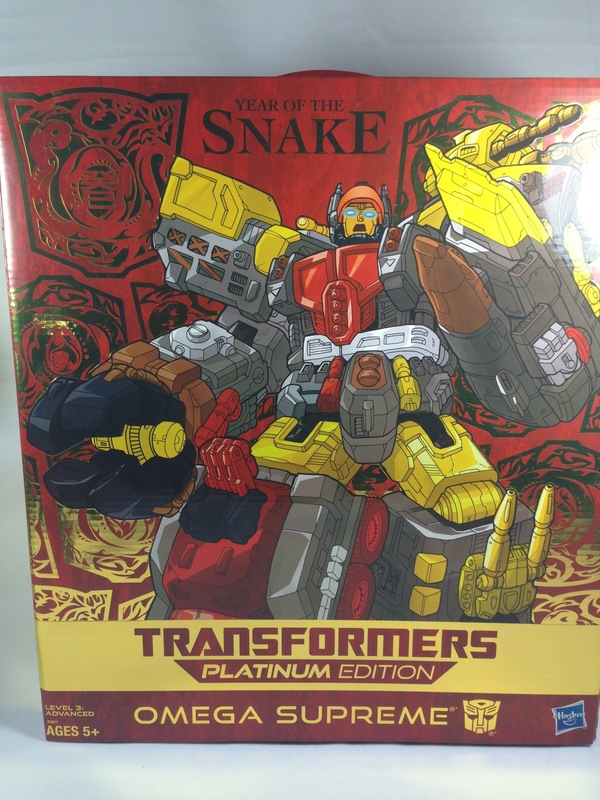 First the box art is just recolored from the Energon release so it still has the old Headmaster head. Speaking of the head, while the sculpt looks great, it still looks waaaay too tiny on that large hulking body. Overall Hasbro did a great job with this piece. If I had room to display him with my Classics figures I’d strongly consider buying him again (I used to own both Energon releases). He does look fun. 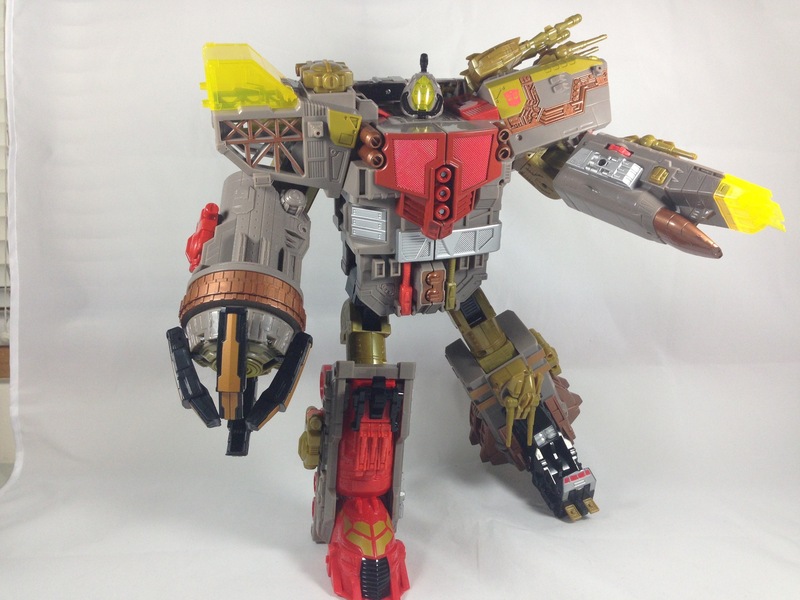 It is a nice redeco of a previous mold. I agree the box art is funny since he also has his original claw on there. I’ve been resisting getting this since I’ve already got G-1 and Planet X Genesis. I read on a board that there’s a 3rd party track kit coming out, supposedly in May. Depending on how that looks I will probably fold and get this. I just love the big bots. I just got mine last week and he is HUGE! I will be opening mine soon. Can’t wait to have him posed next to Hercules! That’s how I have mine HP, it’s like they’re MaDE for each other!! Hehe, they did their best to recolor that artwork didn’t they? I can see it now, some poor intern gets the unenviable job of fixing the Energon art to match the new toy. At least they spent their money in the right place by giving him some new parts, I am also curious to see what the 3rd party upgrade looks like. 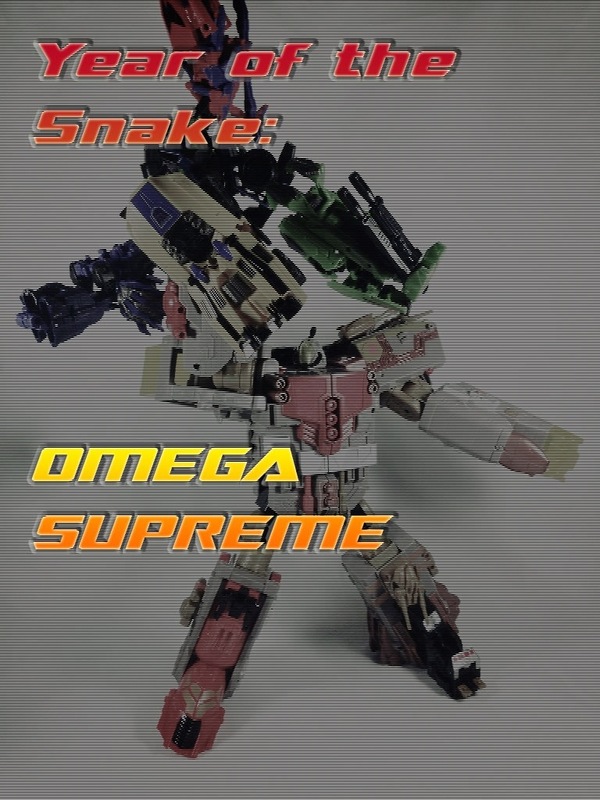 I know, I don’t fault them for the box, so long as Omega is so flippin’ awesome. As cool as Genesis X is, I honestly feel no “jealousy” for those who have him because I thing this guy is just amazing. I’m all in for the upgrade, but it looks to be just the rail tracks and maybe a little roller-like guy.